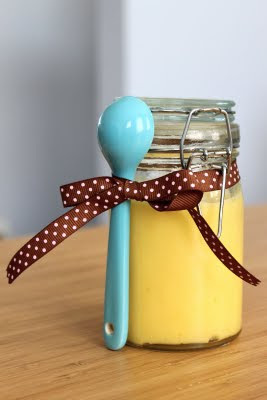 I have wanted to make Lemon Curd for a while and am so glad I finally had the chance. It was much easier than I thought, but did take some patience. In other words, I had to stand at the stove for 20 minutes whisking. It was completely worth all the effort. 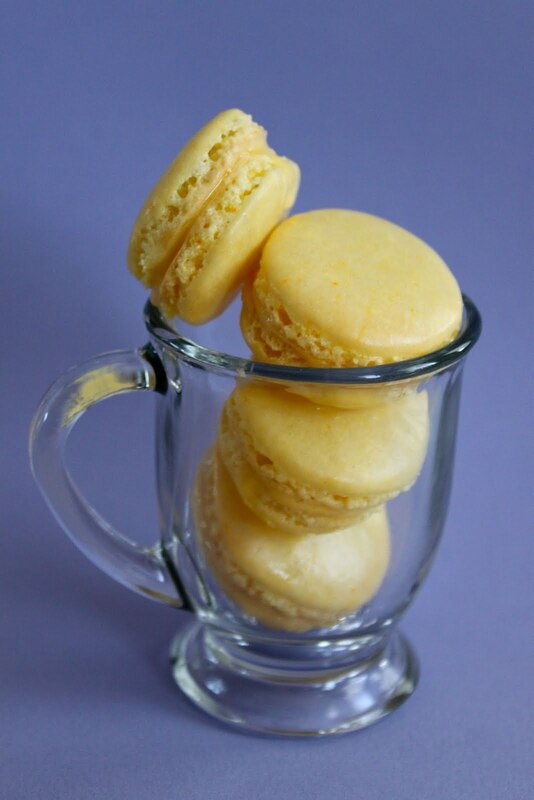 I used some of the curd for on Lemon Macarons (Photo Below), put some on toast, ate some straight from the jar, and gave a jar to my friend Ellen who used it to top a Strawberry Cheesecake. In other news, my oven died Friday night. I think I was working it too hard. We are debating whether to get it repaired or to get a new one. I don't know how long I will be able to make it without baking. Add enough water to a medium saucepan to come about 1-inch up the side. Bring to a simmer over medium-high heat. Meanwhile, combine egg yolks, sugar, and salt in a medium size metal bowl and whisk until smooth, about 1 minute. Add juice and zest to egg mixture and whisk smooth. Once water reaches a simmer, reduce heat to low and place bowl on top of saucepan. Make sure the bowl does not touch the water. 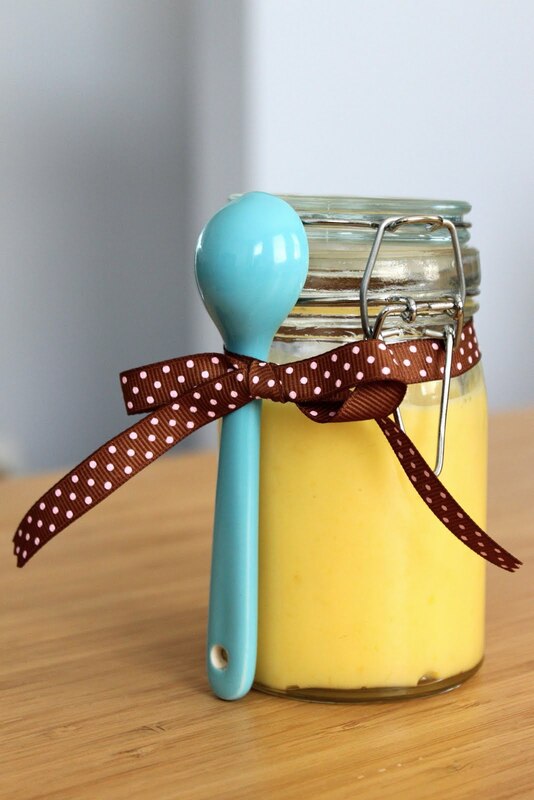 Whisk constantly until thickened, approximately 15-20 minutes, or until mixture is light yellow and coats the back of a spoon. Remove promptly from heat and stir in butter a piece at a time, allowing each addition to melt before adding the next. Remove to a clean container and cover by laying a layer of plastic wrap directly on the surface of the curd. Refrigerate for up to 2 weeks.